But does it take technology to recognize it? 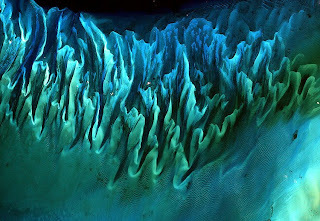 Here are 30 Incredible Abstract Images Taken By Satellite of Our Earth. G'head, take 60 seconds and give your eyes a feast. 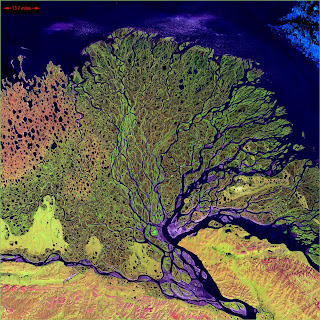 It's The Bahama's Sand Reef above, and the world's tenth largest river, The Lena in Russia below.